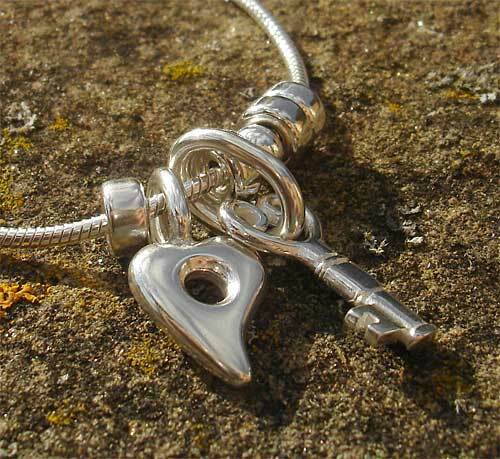 Silver Heart Necklace For Women : LOVE2HAVE in the UK! 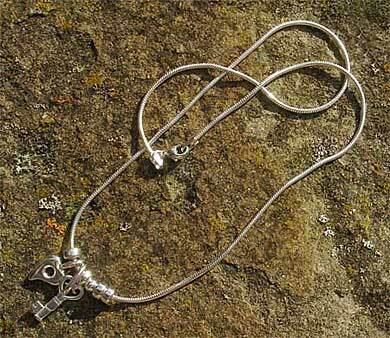 A sterling silver snake chain necklace for women threaded with silver beads, a silver key and a silver shaped heart. To give you an idea of sizing the key measures approximately 14mm in height and the snake chain measures 16 inches long. A matching bracelet is available also. Necklaces and bracelets which are heart shaped are a symbol of love. 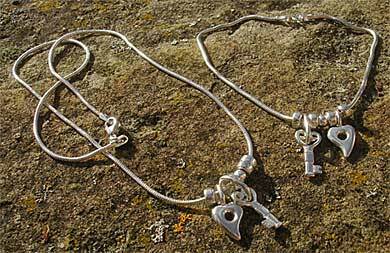 The key signifies the unlocking or opening of the heart. These pieces detail heart imagery and great movement, which instantly imbues a sense of happiness for whoever receives them. Pictured together as a necklace and bracelet version.